Gratuitous Tank Battles is the latest product from Positech Games, makers of Gratuitous Space Battles. I've covered GSB a bit on this blog before, since it is spaceships blowing each other up. When I was offered a copy of their latest offering, GTB, how could I refuse? GTB is quite a bit different from its space faring cousin. 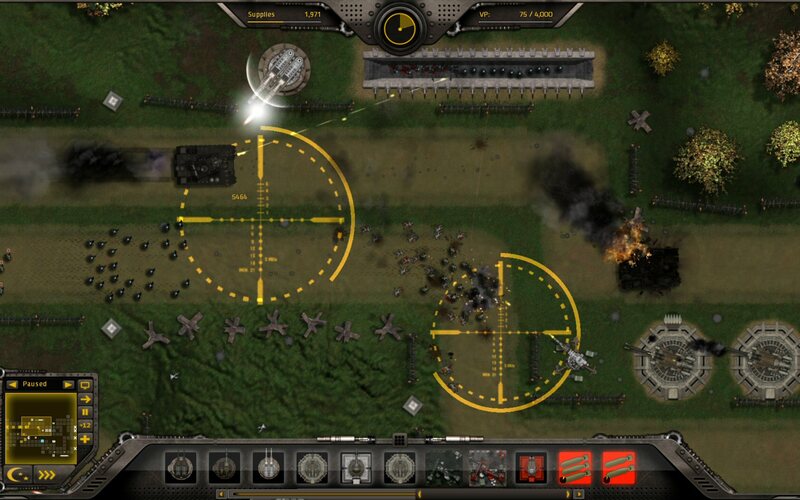 Instead of setting up the fleets and watching them go at it, it is much more like a tower defense game. That is really not giving it the credit it deserves though, since it is a very deep game. 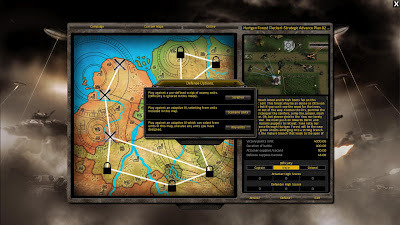 There is a campaign mode, which is not quite linear, but throws different challenges at you. the neat part is that on most of the maps, you can choose to either defend or be the attacker. It will keep your best scores and let you choose the difficulty level. 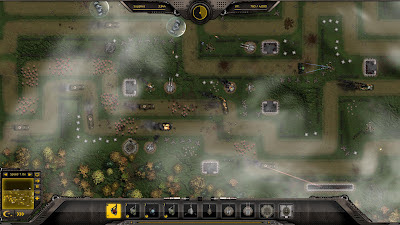 When you enter the scenario, you are given even more options when it comes to the AI. 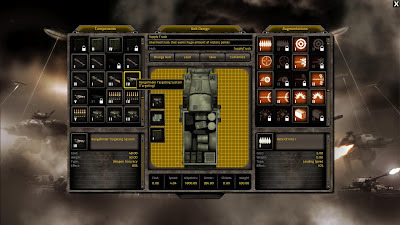 You can just use the scripted unit selection, or let the AI make its decisions based on what you are fielding. Finally, you can give the AI access to the custom units in the game, which we will see in a bit. As with GSB, the graphics are very nice. You can zoom in quite a bit to really check out the action. 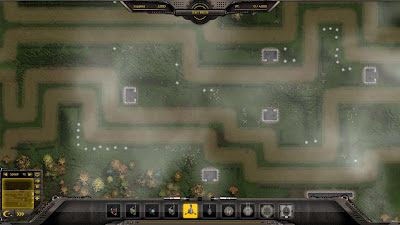 Like other tower defense games, there are paths which units follow. If attacking, you want to get your units across the map. if defending you want to prevent them. GTB allows for multiple paths, and even branching ones. Now we have some action going on. In this scenario I am defending. Spoiler alert: I end up losing. There are a bunch of different units being used by both sides. The gray areas are bunkers, which house infantry units. 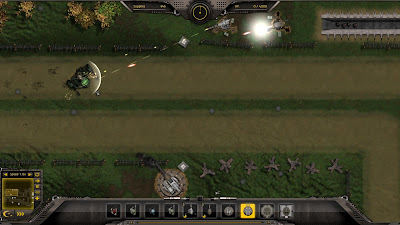 Gratuitous Tank Battles also offers an online mode. Instead of multiplayer, you have a challenge system. 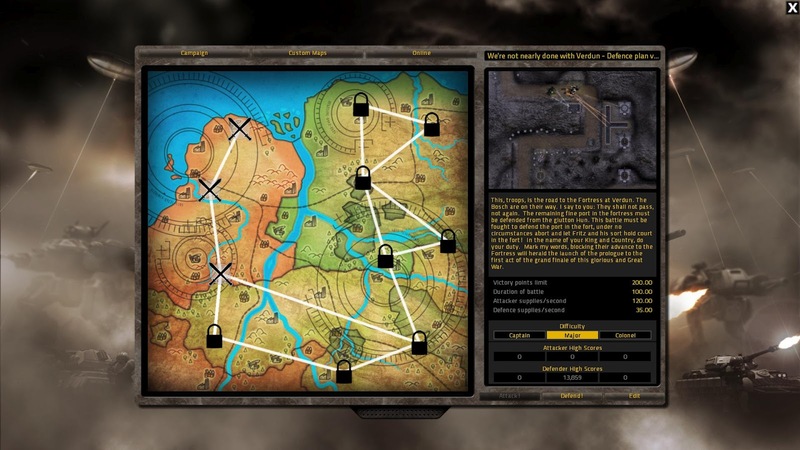 This allows players to create their own maps and AI scripts, post them online and challenge their friends. You can rate it and leave comments as well. As I mentioned before, you can customize the units that you use. As you progress throughout the game you unlock hulls and components. Want a Heavy tank that is good against infantry? Just go design it. This is a great feature which adds a lot of depth to the game, especially online. Quality. This is a polished game. The theme is wonderful (World War 1 which never ended) and the graphics are very sharp. Unit Creation. Customizing your units adds a lot of replay value to the game and lets you do things your way. Night Mode. There is a night mode, which has spotlights and everything. Very neat. 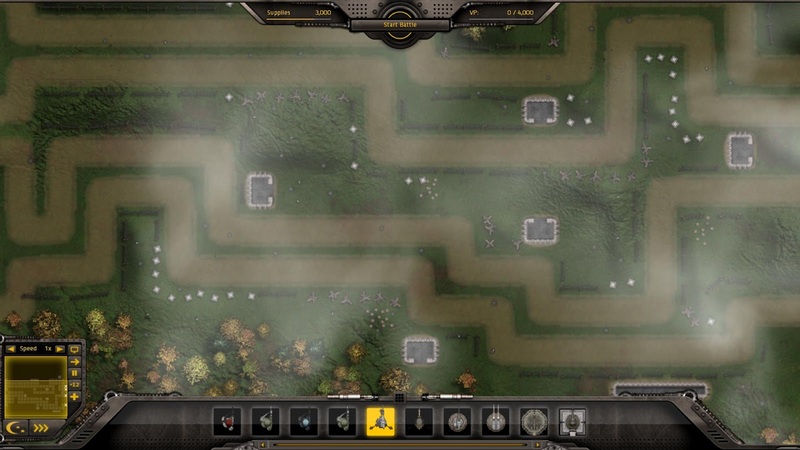 One drawback for me is that it is a Tower Defense kind of game. If you are a fan, then add that to the positive list as well. Otherwise, I find it to be an enjoyable game and certainly worth the cost. Technically, GTB is still in beta but it sure does not feel like it. You can purchase access to the game though. According to the developers blog, it should be heading for release any time now. It should also be available on Steam soon.